ABC Signs & Specialties is Sheridan's #1 Sign Provider since 1988. Dollar for dollar nothing can compare to the return on advertising investment that professional signage and branding can bring to a business. Make sure your organization is in control of how it is perceived. Have them help you with lighted signs, vehicle graphics, engraving, safety signage, banners, magnets, name tags, and more! Business Name: Advanced Communications Technology, Inc.
ACT began offering communications solutions in 1997 under our parent company, Range Telephone Cooperative. In 2001, ACT completed the installation of an advanced fiber optic network between Montana and Wyoming. This new facility connects the Vision Net (Formally MAIN) and major interstate carriers in Casper, Wyoming. New fiber facilities were installed west of Casper in 2002, completing fiber connectivity to northwest Wyoming. Additional builds are currently being engineered that will extend our fiber optic network to over 1400 miles and will connect our network with SDN Communications state-wide network. Music lesson studio for all ages. Songwriting and performance class sessions TBA! We're a local Sheridan, Wyoming florist proudly serving the area for over 45 years. Our shop specializes in a lovely variety of fresh flowers and creative gift ideas to suit any style or budget. We hope you enjoy your online shopping experience with secure 24-hour ordering right at your fingertips. In the late 1880's and early 1900's several associations were organized to make loans on homes and business property and to accept people's savings. Some of the names of these associations were Home Building and Loan Association, Johnson County Building and Loan Association and Buffalo Building and Loan Association. None of these associations were insured by the Federal Savings and Loan Insurance Corporation, and many were short lived. On May 18, 1936, the Buffalo Federal Savings and Loan Association received its charter and began providing insurance on its savings accounts. The purpose of the Savings and Loan was to make available long term loans to home buyers, builders, and businesses. The office on Fort Street was completed in 1969. The outdoor sculptures of a buffalo and mountain man have become a major attraction in the community. The Savings and Loan became a publicly traded Savings Bank on March 29, 1996. The newly created holding company was named Crazy Woman Creek Bancorp, and the bank was renamed to Buffalo Federal Savings Bank. In this new configuration, the bank had changed its emphasis from residential real estate lending to a broader, commercial bank format. The services include traditional residential real estate loans, as well as consumer, commercial and agricultural loans. The bank added a second location in 2000 when it purchased a branch in Gillette, Wyoming, operated as "The Bank of Gillette." A third branch was added in 2002 in Sheridan, Wyoming, and operates as "The Bank of Sheridan." In 2006, we changed the names of the Buffalo branch to “The Bank of Buffalo,” to tie all of our offices together with a common naming theme. All offices are operated as a branch of Buffalo Federal Bank. In 2008, we formed a new mortgage division which is headquartered in Cheyenne, Wyoming along with an additional office located in Evanston, Wyoming. Both the Cheyenne and Evanston locations operate as designated LPO or Loan Production Offices and originate primarily secondary market loans. The Cheyenne office additionally houses the loan underwriting and packaging of these loans to secondary market investors. With the 2011 dissolution of the OTS - Office of Thrift Supervision, which had been our primary federal regulator for decades to the OCC - Office of the Comptroller of the Currency, the bank began to explore alternatives into which regulatory framework best suited the banking needs of our rural Wyoming communities and customers. The evaluation process culminated on June 2, 2014 with our official conversion to a Wyoming State Banking Charter and a change to a new legal name - Buffalo Federal Bank. Established in 1991, Best Out West Antiques & Collectibles is located at 109 N Main St in Sheridan, WY - Sheridan County and is a business listed in the categories Antique Stores, Antiques & Collectibles and Antiques. After you do business with Best Out West Antiques & Collectibles, please leave a review to help other people and improve hubbiz. Also, don't forget to mention Hubbiz to Best Out West Antiques & Collectibles. Big Horn Beverage Company, Inc., is a wholesale malt beverage distributor, that was incorporated in the state of Wyoming in 1951 by John and Hazel Oatts. The business has been locally owned and operated throughout four generations. 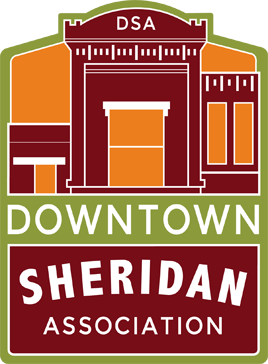 The company initially distributed Sheridan Beer from a local brewery until the brewery went out of business. In 1956, Big Horn Beverage became an Anheuser-Busch wholesaler covering territories that include the 5 Northeastern counties in the state of Wyoming; Sheridan, Johnson, Campbell, Weston, and Crook. The business has grown substantially in the last 25 years, going from 8 employees to 25. In more recent years they have added craft brands through Anheuser-Busch as well as smaller breweries. The first was a local brewery, Black Tooth Brewing Company, in 2012. Since that time our distribution has also expanded to Crow Peak Brewing, Uinta, Schofferhofer, and Vernal to name a few. Big Horn Beverage has also more recently started distribution of more non-alcoholic products such as; Dustcutter Lemonade, Barritt’s Ginger Beer, Teavana teas, Hi-Ball & Alta-Palla energy drinks along with Icelandic water. The Big Horn Home Builders Association (BHHBA) is committed to promoting the highest standards within the building industry! They have given donations to the following local projects: Student tool vouchers, Children's Center Roof Replacement, Antelope Butte Foundation, Habitat for Humanity, Project Graduation, The Food Group, and Sheridan County Chamber Holiday Dinner. The Big Horn Mountain Radio Network broadcasts from Sheridan and Buffalo Wyoming. Bighorn Design is the largest full-service custom embroidery, screen print, sign and graphic design studio in the Northern Rockies. We also specialize in eCommerce site Management and Custom eCommerce Fulfillment Services with our proprietary Production Through Fulfillment Service (PTFS) model. Whether your project is large or small, you will always experience our commitment to the small town customer service that folks find rare these days. Here at Bighorn Design Studio, we are committed to our customers, our communities, and our employees and we believe that everything is a little bit better when it is made and shipped by the fine folks here in Wyoming, USA! Sheridan Wyoming’s most highly awarded brewery is located in the heart of the wild west, and at the base of the majestic Big Horn Mountains. At Black Tooth Brewery we are creating fun, unique, and quality craft beer, and have been doing so for over 7 years. With a humble beginning starting in November of 2010, Black Tooth opened its Taproom doors and brewery with only a 10 BBL brewhouse and Co-Founder Tim Barnes and Head Brewer/Co-Founder Travis Zeilstra holding the paddle. Zeilstra himself is a graduate of the Western Culinary Institute and recipient of the “brewer of the year” award at GABF in 2007. This small beginning for Black Tooth quickly led way to future expansions and in the spring of 2015 the completion of a multi-million dollar production facility capable of producing upwards of 50,000 BBLS a year. The vision of being a leader in creating quality craft beer in the Rocky Mountain region has now become a reality. Black Tooth has three of its flagship beers, Saddle Bronc (Brown Ale), Bomber Mountain (Amber Ale) and Hot Streak (IPA) as well as two seasonal offerings Caught Lookin’ (Blonde Ale) and Copper Mule (Ginger/Lime Cream Ale coming spring of 2018) available in 6-Pack Cans and draught statewide in Wyoming as well as parts of South Dakota, Montana and Nebraska. Within the taproom doors, you will find a relaxing yet vivacious tasting room where locals and travelers alike can enjoy a fresh pint, from a wide range of Black Tooth brews. So if your passing through the wild states of the west make sure you stop into the taproom or grab yourself a 6-pack or pint at a local watering hole and #Drink The West! Brittain World Travel is a division of Bursch Travel. With over 60 years of service, today there are 19 offices throughout the upper Midwest and Wyoming. Self and automatic car wash.
Business Name: Burns Industries Inc. ERA Carroll Realty Co., Inc. has been serving Sheridan Wyoming home owners, ranchers and business people since 1913. Sheridan's ERA Realtors strive to provide progressive marketing plans for the seller while providing the most caring service to the buyer, creating a winning solution in your Wyoming and Montana real estate transaction. It’s been through a world war, drought and the Great Depression, more than 15 different presidential administrations, and the first man walking on the moon. Since 1919, Carroll’s Furniture has been a fixture in Sheridan, and this month the family celebrates 90 years in business. Amid elegant sofas, cozy overstuffed chairs, fashionable lamps, and beautifully framed pictures, Robert B. “Bob” Carroll, wife Sally and son Chris shared the history of the family that established the Sheridan furniture store. As the three sit and reminisce, Bob Carroll is distracted by a stained glass window positioned on a solid wall. “We need to move that where the sun can hit it,” he says. Chris Carroll explains it is a temporary location and the two discuss the best placement. They can’t help it. Home furnishing is just in their blood. The three explained that Carroll’s Furniture founder Robert E. “Bob” Carroll started the business after sensing a need to assist the growing population in Sheridan. Men were returning home from World War I and needed to equip their homes with furnishings. Along with friend Bob Thirlwell, the two partnered to open “Bob’s Place,” a furniture store in the old Kirby Opera House on the northeast corner of Gould and Brundage streets. “That partnership was the beginning of Carroll’s Furniture,” Sally Carroll said. She said the two trucked furniture from Butte, Montana, stacking chairs and tables, cupboards and other items to meet the growing needs of Sheridan residents. “Bob’s Place” later moved to Carroll’s Furniture’s current location (340 N. Main St.), where the business began taking in livestock, buggies, wagons, saddles and other items in trade. Behind the store, a barn and corral housed the unusual items. In 1925, Robert E. Carroll purchased Thirwell’s interest and renamed the store “Carroll’s.” His sons, Clifford and Bill, worked in the store, wielding a duster, broom or mop after school. As they grew, their father took them to wholesale marts and markets to learn the purchasing end of the business, “the ins and outs, the dos and don’ts of the purchasing,” the family’s 1996 Family Reunion memories book states. In 1931, Robert E. Carroll suffered a health setback, and Clifford Carroll returned from the University of Wyoming to take over management duties under his father’s guidance. It would become a 52-year career for him. Clifford Carroll’s brother, Bill, joined the business for a time after returning home from World War II. A favorite family story is of Clifford Carroll discovering nine hungry goats wreaking havoc in his office one afternoon. After that, the “We buy, sell, or trade anything” policy ended and the barn and corral became a thing of the past. In 1959, Clifford Carroll’s oldest son, Robert B. “Bob” Carroll, returned from the Navy anxious to be the third generation to work in the store. His future wife, Sally, was employed at the store doing secretarial work. Carroll’s Furniture underwent a grand remodeling in the mid-’60s that included purchasing the old Rainbow Bar location. “Guys were sitting at the bar drinking,” Robert B. Carroll said. “As they rolled the bar down the sidewalk to its new location (264 N. Main St.), those guys never missed a lick.”Locals flocked to the annual spring open house in April 1967 to view “masterpieces of craftsmanship and an inventory of newly purchased items from a furniture mart,” the family album states. A week later, April 29, Clifford Carroll had his picture taken turning back the hands on a grandfather clock, a photo that would appear in The Sheridan Press to mark the beginning of daylight saving time. That same evening, malfunctioning fluorescent lights in the basement ignited a blaze that would completely destroy the store. Seventy to 80 volunteers and local fireman battled the blaze, but the store was a complete loss. “The Carroll brothers announced they would rebuild,” said Sally Carroll. And rebuild they did. On March 21, 1968, the new 21,500-square-foot store incorporating fireproof concrete floors and ceilings was visited by thousands during a three-day open house. Bill Carroll retired in 1973, and Clifford Carroll continued in the business a few more years, finally retiring after more than 65 years. Robert B. Carroll took the reins, and after 41 years, he retired in 2000.Fourth-generation Chris Carroll, who said he started his career dusting furniture in the store at age 13, now manages the business. Helping the Carrolls carry on their family tradition are office managers Chris and Chuck Magera, sales associates Susan Abbott and Kenle Barnes-Sonderby, and delivery driver Matt Fitzgerald. To engage citizens to strengthen our community. Business Name: Century 21-BHJ Realty, Inc. Established in 1908, BHJ Realty, Inc. sets the standard for real estate sales in northern Wyoming. Since its affiliation with Century 21 Real Estate LLC in 1978, CENTURY 21 BHJ Realty, Inc. has continued a reputation for trustworthy, knowledgeable service in a highly competitive market. Listing more top quality Sheridan Wyoming Real Estate, Big Horn Real Estate, Story Real Estate, Ranchester Real Estate , and Dayton Real Estate, Land and Ranch properties than any regional competitor, our office is a thriving, vibrant place of business, with a superior team assembled from varied backgrounds. At CENTURY 21 BHJ Realty, Inc., we chalk our success up to unrivaled management and sales teams, who face each new challenge with a spirit of community and service.